Removes the necessity to dig up the forecourt to install ATG cabling, avoiding expensive and disruptive building work and leaving the site aesthetics intact. Avoid temporary site closure during installation and consequent loss of revenue from interrupted fuel sales, convenience store business and other on-site customer facilities and services. 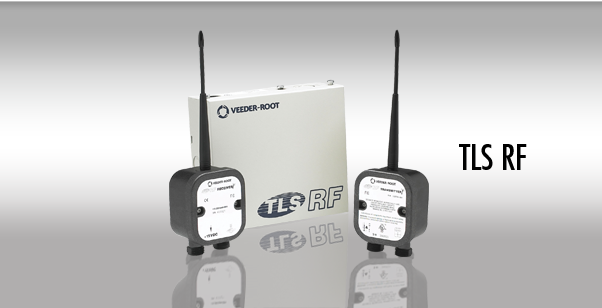 TLS-RF monitors tanks continuously, uniquely allowing older sites to benefit from same high level functionality and advanced features as an equivalent hard-wired tank monitoring system. No excavation work necessary, preserving forecourt surface integrity and appearance. Compatible with standard TLS consoles, Magnetostrictive Probes and Mag Sump sensors. R&TTE (Radio and Telecommunications Terminal Equipment Directive) compliant (ETSI-EN 300-220 Part 3). Low maintenance costs with expected minimum battery life of 2 years. Hi-end ATG features available, no loss of functionality versus wired systems. TLS-RF allows third-party certified tank testing to 0.38 or 0.76 litres per hour precision, without additional cost, at any time.